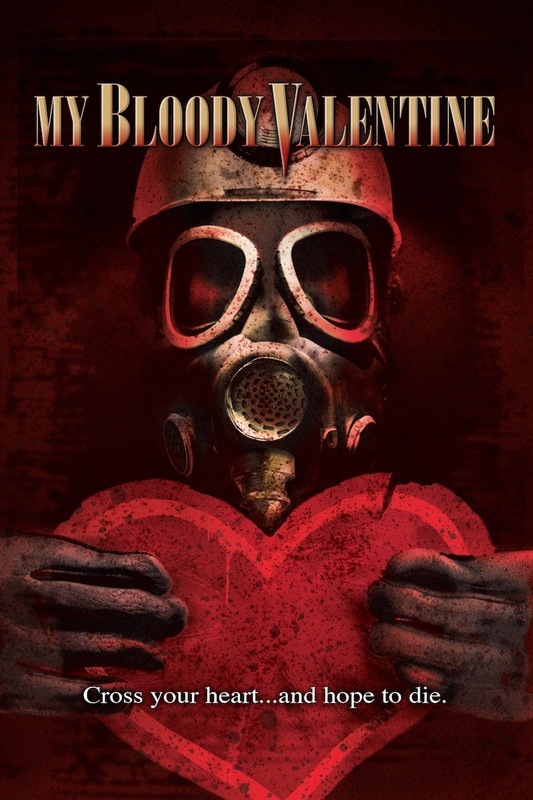 My Bloody Valentine always sounded like a spoof title to me. It’s why I never watched it for all these years. Recently, a friend claimed it was a classic and I did happen to be longing for a movie with an atypical setting so I decided it was time to give in. The film takes place in a small mining town that is preparing for a Valentine’s Day dance when a serial killer decides to break up the fun. By the time the miners realize what is happening the murders are already piling up. They should have heeded his warning. Let it be known that I watched the extended cut and I am not sure how much was left out for the theatrical release. The footage for all of the kill scenes seemed to be edited over with the unreleased content unintentionally creating a “terror lens” effect that added to the shocking deaths. Of course this could have been in the original movie, although I doubt it and I don’t feel like breaking out of my cage again to go check. While we are on the subject, the kills sure are creative, with an unexpected cringe factor for a film from 1981. 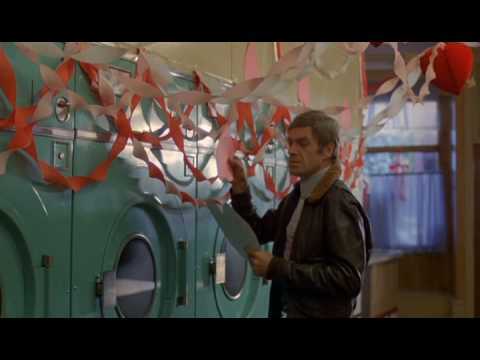 My favorite scene would definitely make some scared to do their laundry! The cast has good chemistry, making the viewer care about them as much as the characters evidently care about each other. There is also a subtly eerie undertone to the townsfolk as a whole, like there is something going on behind the scenes. This mostly comes from the mayor and the cop. They know what danger is on its way for the holiday but keep it to themselves to prevent a town from panicking. I wish they did a little more with the twist at the end instead of rushing it and abruptly ending the movie. It was clear they were trying for a sequel but it never happened. The setting of Valentine’s Day is a fresh and unique approach to the genre, adding an unfamiliar new atmosphere. My Bloody Valentine isn’t a masterpiece by all means, but it was a nice surprise. It’s not often a film exceeds my expectations. 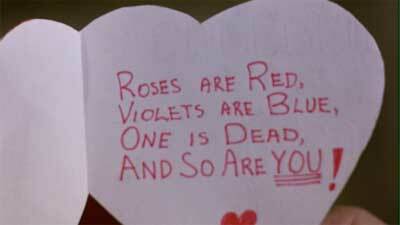 This February I’ll be extra careful my heart doesn’t end up in a box of chocolates! This entry was tagged 1981, February, Horror, MASSACRE MARATHON, My Bloody Valentine, slasher. Bookmark the permalink.